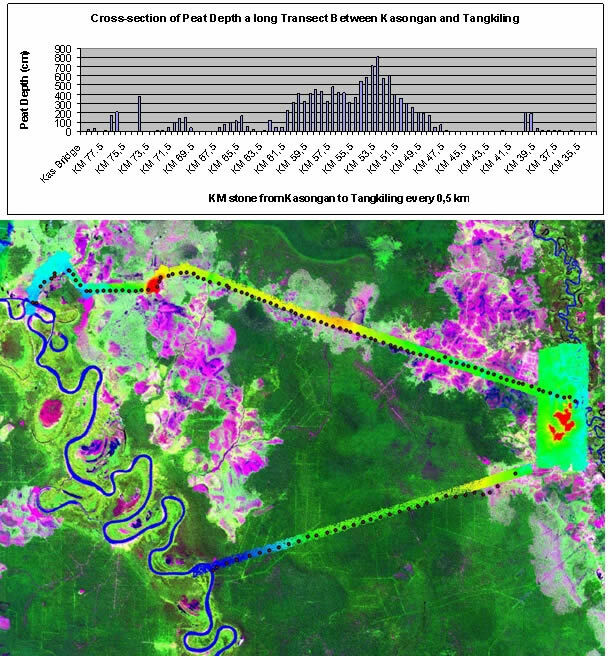 by Boehm, H.-D.V., Liesenberg, V., Frank, J, Limin, S.
d) to demonstrate the applicability of LiDAR technology to detect logging activities in tropical peat swamp forest environments. Additionally, we would like to demonstrate the first results of our second LiDAR survey conducted in August 2011. We found that in an undisturbed tropical PSF area the average tree-height increased from 15.32m (2007) to 17.18m (2011) by difference of 1.86m which is 12%. This clearly shows the forest recovery capacity in secondary tropical PSF under protected conditions (e.g. conservation status). Hence, we would like to demonstrate preliminary results of change detection method over this endangered ecosystem as well as the retrieval of forest attributes (e.g. AGB, LAI, Canopy Coverage, etc) in the frame of REDD+ knowledge.